On Wednesday morning, the news surfaced that Socialist People’s Front chairman Algirdas Paleckis was arrested as part of a spying investigation. According to Delfi sources at the police, A. Paleckis was arrested with evidence because he was gathering information in accordance to special services’ tasks. The Prosecutor General's Office is organising a press conference on Wednesday. It should reveal further details on the investigation and the politician's arrest. The arrest was reported by the BNS news agency on Wednesday and corroborated by several unrelated sources. According to BNS information, A. Paleckis has been arrested for over a month now. According to unofficial news, A. Paleckis was arrested in the same investigation as pro-Soviet organisation Jedinstvo leader, Russian citizen Valery Ivanov, who was arrested on Tuesday. Having been one of the Lithuanian negotiators in Lithuania's EU accession negotiations, A. Paleckis worked as a member of Seimas in 2004-2007 and in 2007-2008 acted as Vilnius city vice mayor. 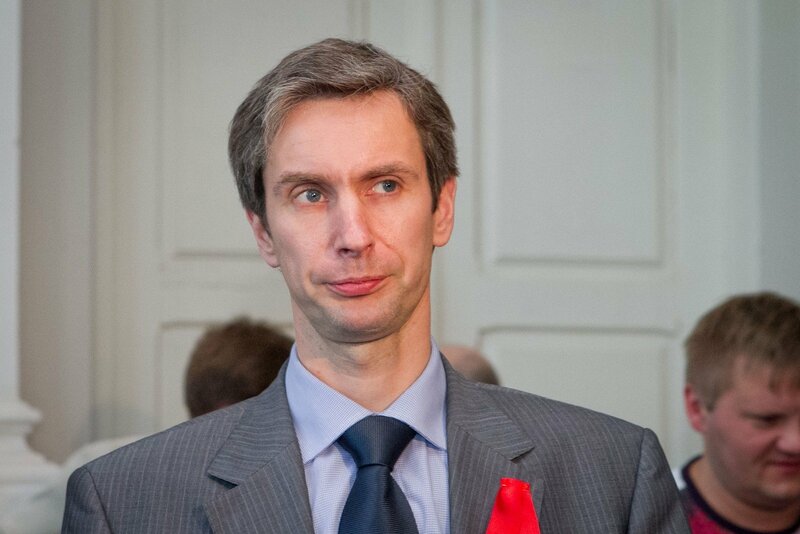 The politician was expelled from the Social Democratic Party he belonged to due to disagreements and open confrontation with the party's leadership in 2008. Later on, he founded the Frontas party, from which he withdrew at the start of this year. In 2012, A. Paleckis was convicted for denying and strongly downplaying the fact of the USSR's aggression against the Republic of Lithuania after declaring in 2010, "So what happened on January 13 at the tower? It turns out now that it was friendly fire." A. Paleckis participated unsuccessfully in the Seimas elections in both 2008 and 2012 alongside his Front party. He was unable to win a seat in Seimas through single mandate districts either. According to the Centre of Registers, A. Paleckis was currently the head of the public institutions Antakalnis Community and Public Project Centre. Follow us on Facebook, Twitter, LinkedIn, and stay tuned for our latest news. © 1999-2019 DELFI. All rights reserved. Privacy.